The white butterfly meaning has been pondered over for quite a while. There is no mention of white butterflies in the Bible. Have you ever wondered what white butterflies mean when they show up and do the most unusual things in your presence? I have often wondered why and how these things happen. I never paid much attention to white butterfly symbolism before until my son Shane passed away over seven years ago. A few years after he passed I took his son camping and we were walking up to the lake for a boat ride. His grandad, my grandson and I were all walking in a row down the dirt road. I was feeling rather depressed missing my son so badly. All of a sudden a white butterfly landed on his granddad’s wrist then flew over to me and landed on my face and gave me butterfly kisses, then flew down to my grandson and landed on his chest over his heart for a bit, then flew away. We were all so amazed at what we just witnessed! I really felt such a comfort after that as a love sign from my son. I have had dreams where white butterflies were fluttering on my closed eyelids. Also when I think about my son Shane, there have been white butterflies that circle my head too. In Christianity, the butterfly may symbolize the resurrection of Christ and of believers and is seen especially around Easter celebrations and Christian funerals. The caterpillar disappears into a cocoon, appearing dead, similar to Jesus who was in the tomb after being crucified. Then after emerging later, they’ve been been transformed into something more powerful and beautiful than before. 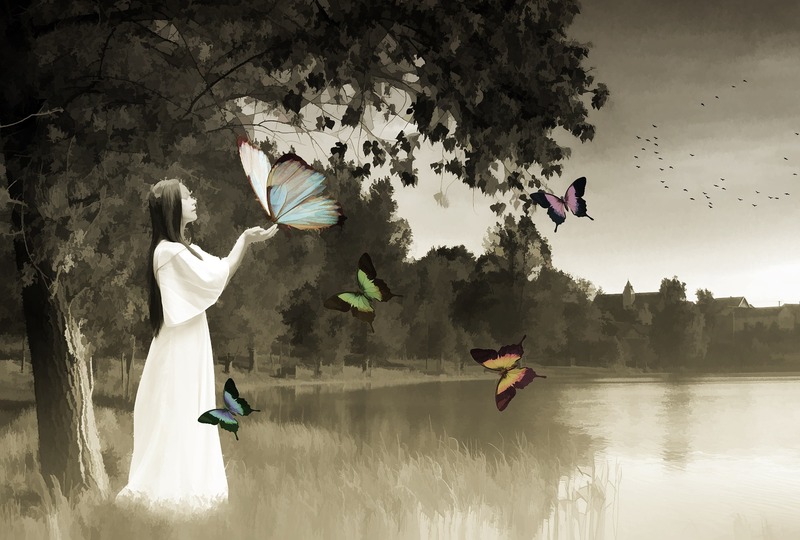 White Butterflies are truly a mystery but many people have experienced their beautiful messages.